Love these earrings so much. They can be worn with any outfit and they receive a ton of compliments! My daughter loves her new earrings and finds them very comfortable to wear. I thought these would only work for special occasions but you can work them into any outfit. So unique, I don’t own anything else like them. Another favorite JB purchase! 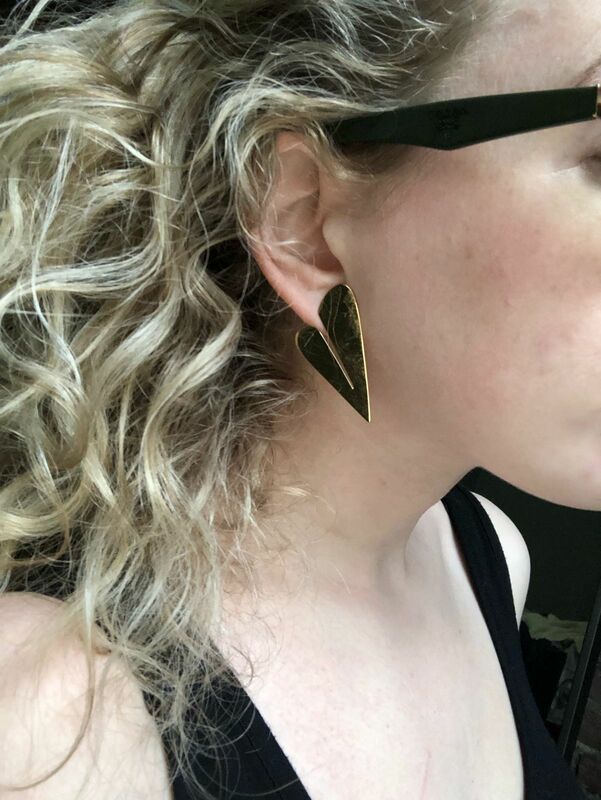 I received so many compliments on these earrings! They catch the light beautifully and are such a unique shape - a heart, but sleek and elevated. They are the perfect size - bold but not overwhelming, so I can still wear them to the office for a bit of glam. As always, I love the backing - I never worry about losing the earrings. Another gorgeous JB piece that has been added to my collection! I absolutely LOVED these earrings. I wore them to a job interview. However, I am using the past tense here because I lost them on the plane home. They came in a really beautiful, convenient pouch, which I stored them in responsibly. Literally no idea what happened. I highly recommend these earrings and will be REpurchasing them.